Menu cards could serve as not only an informative guide but as a great marketing tool. We offer Pocket Menu Printing services of the highest quality. Our professionals are here to support you and guide you with your design. You can give us the specifications that you intend to include in your mini menu template. Our experts have years of experience in designing custom Pocket Menu Printing. They will assist you to come up with the best design. We generate layouts that are the most attractive, while providing all the necessary information. 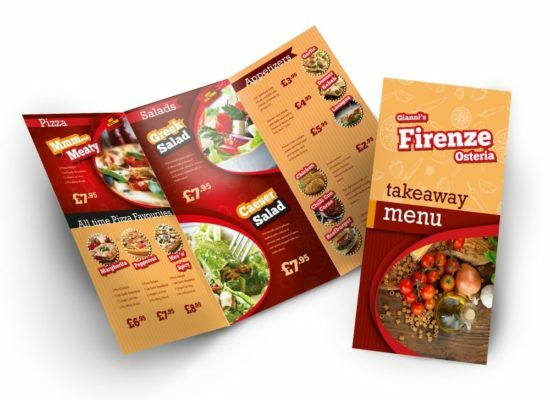 We provide a variety of formats of Pocket Menu Printing. In this, we include menu crd on one side with al the information of your food items. On the opposite side, we can include colorful illustrations of your brand, its location, and the values you embody. This could easily fit into your customers’ pockets. Pocket menu cards are an elegant combination of your business card, your menu and related information, and a detailed description or illustration of your restaurant. These could be made really colorful and attractive. They could also be preserved by the customers as it could be helpful to them in the future. The secret of making it attractive is the size. The more compact it is, the more people are likely to carry it. We also provide folded menu card format. We offer two-fold, three-fold, and four fold mini menu template. You can choose from 4″x2.5″, 4″ x 10″ and many other options of menu card format. Furthermore, we provide the options of glossy paper as well as matte book paper for you to choose from. We are the reputed providers of Pocket Menu Printing services in Delhi. Our services are being availed by some of the prominent restaurants in the capital. If you run services like a salon or a spa with lots of details about the various services these could be useful again. These form an excellent marketing since they can be used as a map and also be very useful with all the information. If it is impressive enough, your customers will keep it with them for future reference. They may also spread it through word of mouth. Therefore make sure you present yourself in a stylish way by joining hands with us.